So today I played with the new lens a bit. I'm loving how sharp the images are. 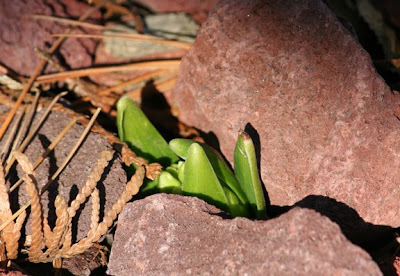 Found two new buds popping that weren't popping last weekend. Some tulips and hyacinth in the side garden. Now I know these won't bloom until early April but it's fun watching them grow little by little. 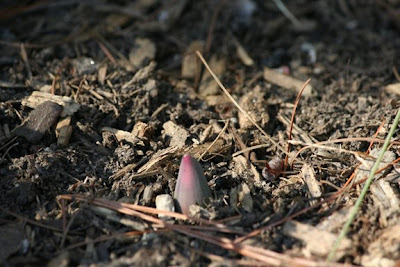 The crocus and daffodils should be blooming within 4 weeks. Got the tree out front with all it's little buds. 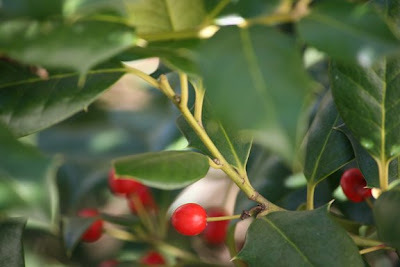 And then a reminder that it is still winter, the holly with its red berries. 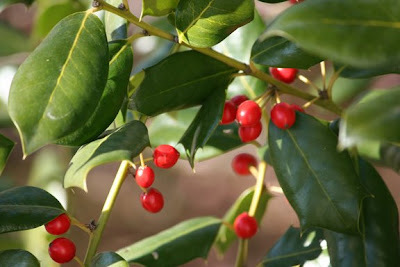 Not that the holly dies in the summer or anything, it's just associated with winter. 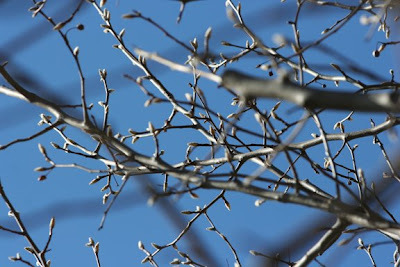 41 days until spring. Sounds like a good time to start 40 days of something.